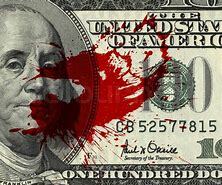 “Blood Money” deals with how the tiny Gulf Emirate of Qatar funds Lobbyists, Media Outlets, and Think Tanks to advance its agenda in Washington at the expense of the US and our allies. Ever wonder why citizens voices go unheard? Washington Research Groups receive 10’s of millions of dollars from foreign governments to push foreign propaganda. Qatar alone spent 16.3 million on lobbying in 2017 to change U.S. policies. And who do lobbyist lobby? Well Congress and our News Media ofcourse. Molley McKew, Foreign Policy and Information Warfare Consultant, is a registered foreign agent with the Nation of Georgia. These upheavals are being lead by Obama’s people, due to his distain amongst many things, for putting an end to the Arab Spring. 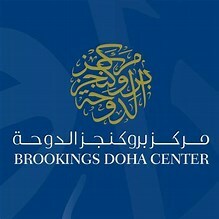 Bookings (DOHA CENTER) just one of the American Research (think tank) organizations receiving and distributing millions, has locations in D.C., Doha Qatar, China and India. Brookings is funded by; State of Qatar, Bill and Melinda Gates, the Hewlett Foundation and JP Morgan Chase just to name a few. Oh and before I forget BUZZFEED is a media partner of the Doha Forum. We’re being sold out by our own countrymen, all for the love of money. President Donald Trump has warned several times of Qatar and their funding of terrorism groups which include; the Muslim Brotherhood, Hamas, The Taliban and Al Queda. You may not like President Trump, but it is he who has thrown a wrench in the spokes of those who care nothing for the American citizens and seek to destroy all freedoms in our great nation. Remember this the next time you hear the Demoncrat/Socialist and RINO’s trashing him. The following video will give you a better understanding why so many in our Government hate our President so. Twenty Two minutes is a small amount of time to enlighten oneself.